Recommendations: Order the dessert to go if you get too full on dinner!! It’s not worth missing. I have a new love of sweet marinated pork. The Pork BBQ definitely takes the cake over my long time love, the grilled porkchops at Pho Bang (in Elmhurst). The only thing missing was that delicious carrot citrus dipping juice that Pho provides. That would absolutely make this dish complete. Coming in at $2.25 per stick, this dish was a steal!! 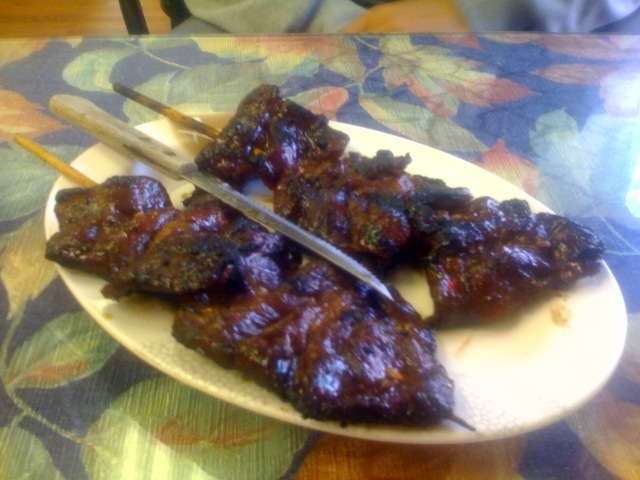 The pork melts in your mouth leaving a sweet after-taste from the delicious marinade.